Moxie soda. Pure New England-ness. Created by a Maine doctor, originally produced in Lowell, MA. So it makes sense that a new place that’s all about New England charm features it. As a glaze. On its lamb belly. 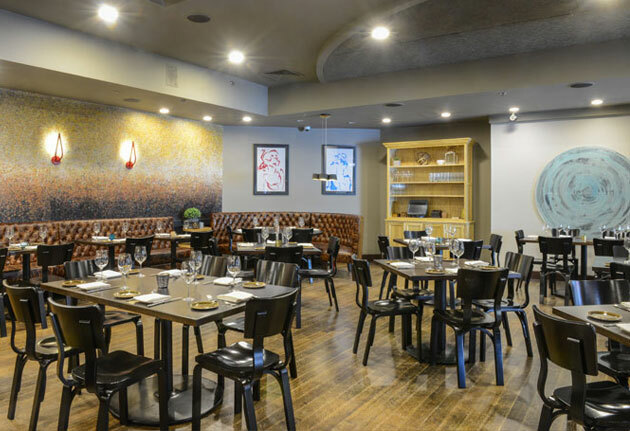 Introducing Puritan & Company, pop-up maestro Will Gilson’s enclave for cozy, lamb-y dinner parties in what seems like a private home, slated to soft-open Thursday or Friday in Inman Square. This place feels like you’re stepping into a private New England countryside hamlet, only in restaurant form. You know: mismatched bar shelving, a host stand that’s actually an oven from the 1920s and walls lined with barn wood that’s been aged by the rain. You and your dinner-party chums will grab a seat at one of the long, custom tables and open the conversational floodgates over wood-roasted Muscovy duck and the aforementioned Moxie-glazed lamb belly. To drink: local suds, like the special Peak Organic brew made exclusively for this place using all-Massachusetts ingredients and honey from Gilson’s family’s farm. You’ll also do just fine here on a date. For that, you’ll want to hit the charcuterie and raw bar in the back for hand-carved ham, East and West Coast oysters and swordfish-belly pastrami.